When flying with a Japanese airline, I can be certain that I will be treated exceptionally. All airline employees- from gate agent to flight attendants-are very welcoming. The seats in economy class exceeded my expecations. Rather than having the back recline and invade the space of the person behind you, the seats slide downwards. Each meal has two options, one Western and one Japanese. There is a photo pamphlet to visually display what each choice entails. 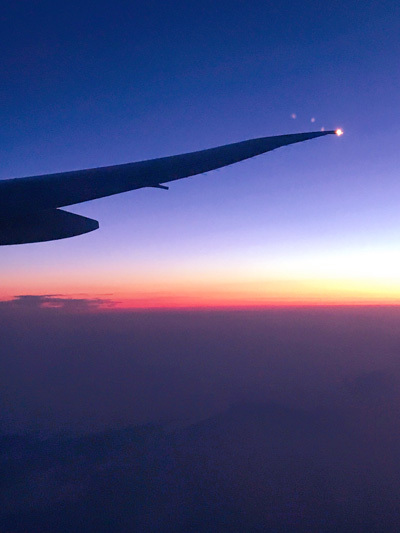 ANA Airlines is definitely one of my best flight experiences! Hatonomori Hachiman Shrine's fujizuka, a mound created to imitate Mt. Fuji, is famous as the oldest such mound within Tokyo. 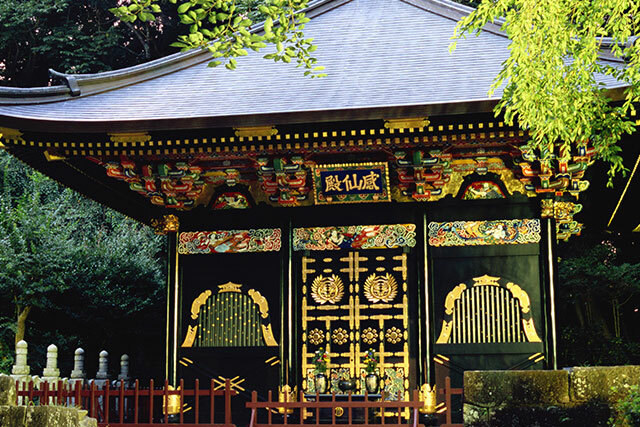 It was constructed in 1789, and is designated a Tangible Folk Cultural Property of Tokyo. 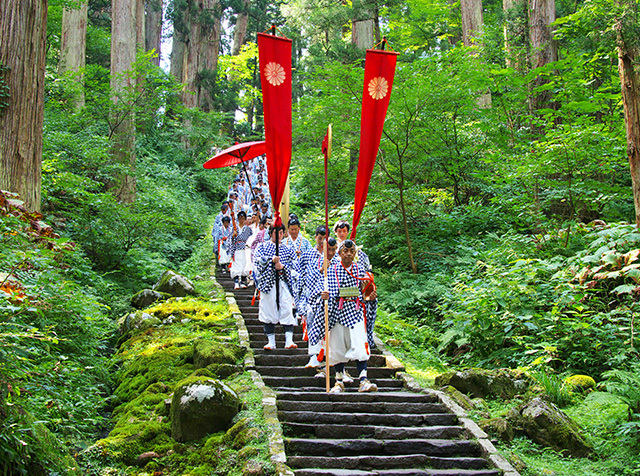 Although the mound is around 6 meters tall, it is said that climbing a fujizuka means the climber is blessed in the same way as if they had climbed Mt. Fuji, and there is a lovely view from the peak. Irises bloom around the same time as the yearly temple founding ceremony takes place (3 June), in the space in front of the fujizuka representing a pond, and are a very pretty sight to see. One of the words that form "Hatonomori" means "pigeon". The significance of the pigeon is reflected in the shrine's fortunes. All of the fortunes at Hatonomori are crafted in pigeons.Another detail of culture significance is the "fuji-zuka", a miniature imitation of Mount Fuji. 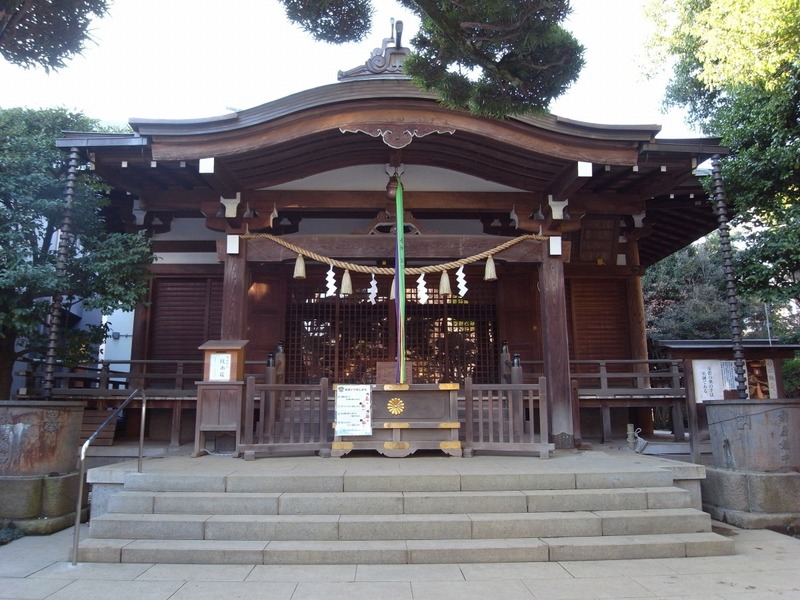 Inside the gates of Hatonomori Hachiman, massive dark green trees indicate this neighborhood shrine’s antiquity. The grounds feature a noh stage, one of the city’s oldest fujizuka. Without a doubt, Akihabara’s “otaku” culture garners much interest worldwide.There are many places to indulge in Japan’s culture. 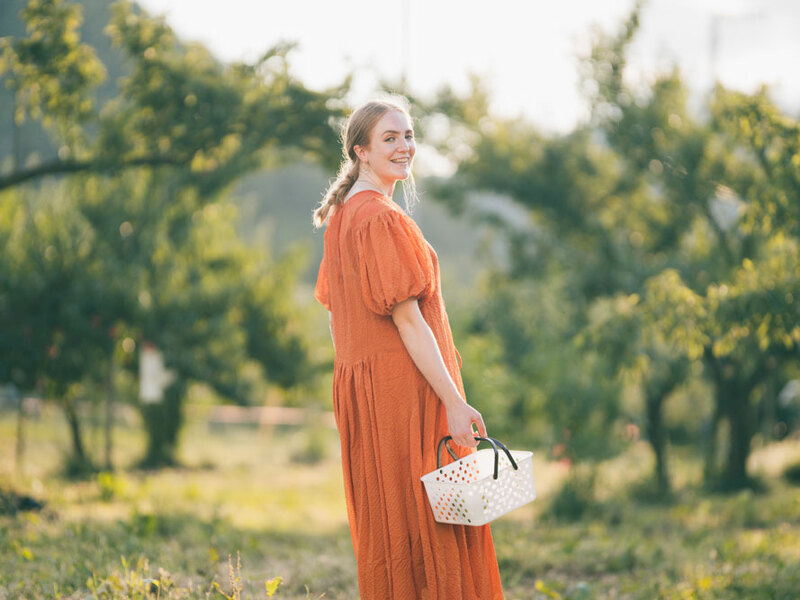 Chabara is not your average market when you shop for daily groceries. 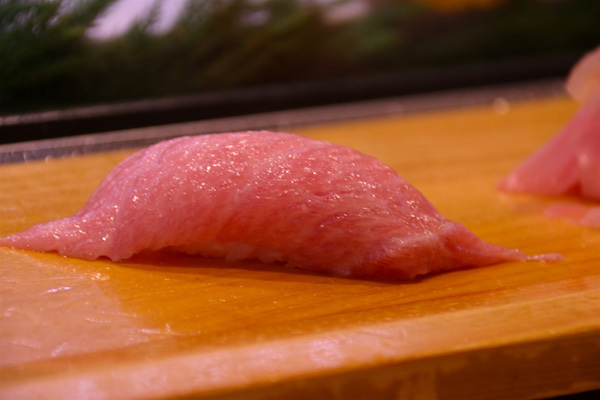 Rather, it is a one-stop shop containing various specialty items from all regions of Japan. 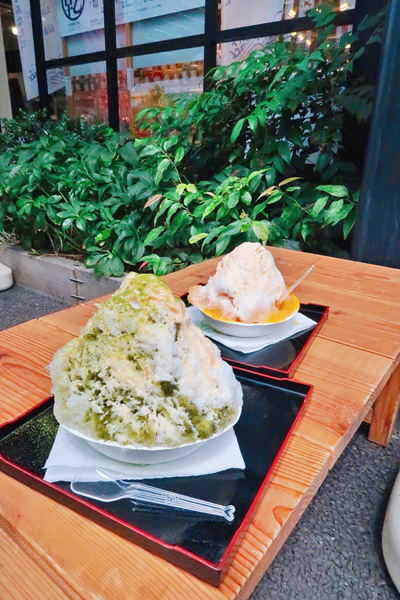 At Chabara, an awesome emporium of specialty foods from all across Japan, I happen upon a kakigori stand before perusing the cool artisan shops that make up 2k540 AKI-OKA ARTISAN, perhaps Tokyo’s most innovative arcade of handmade items. 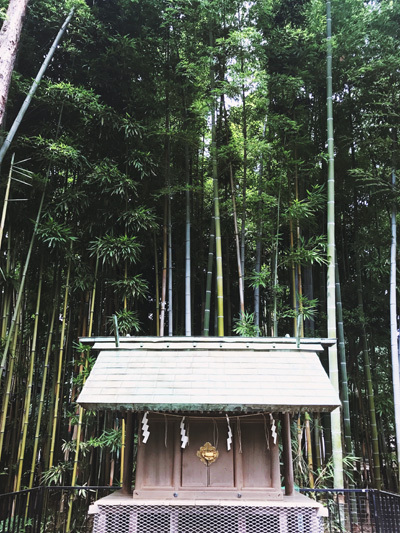 An integral part of experiencing Japan is visiting a shrine. 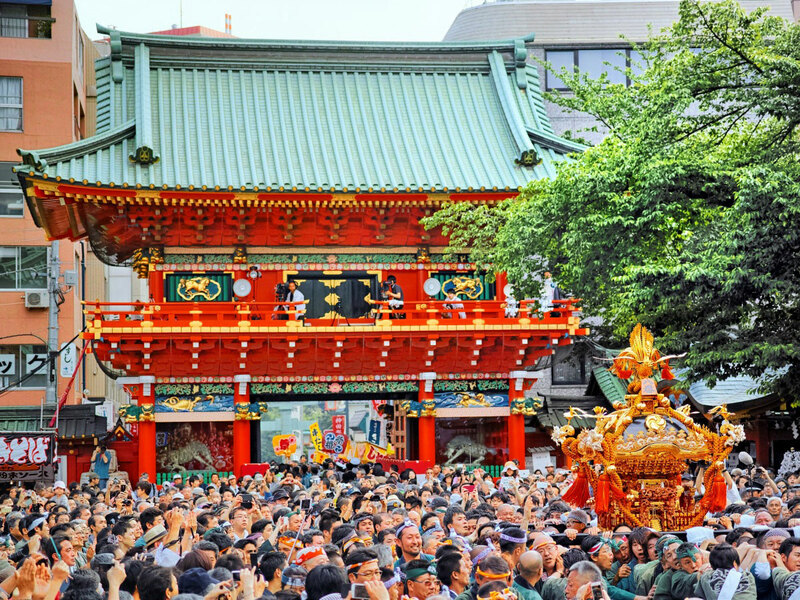 The shrine’s close proximity to Akihabara makes it a great stop for tourists; the shrine’s deities are appealing to locals to often come to pray for wealth and prosperity. The shrine is also said to bring luck in finding a spouse. Another distinguished guest of honor is the pet pony, who is believed to be the pet of one of the deities. 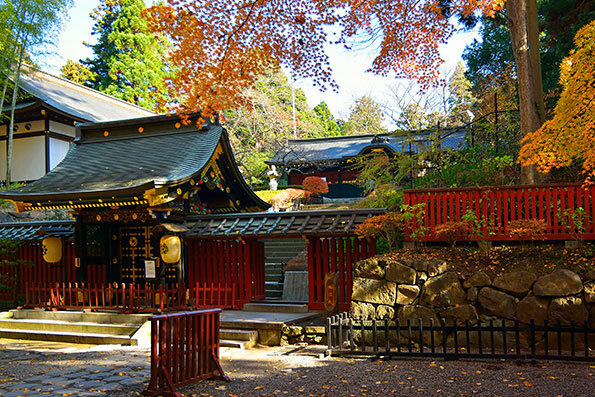 You can find the pony resting on the shrine’s premises. 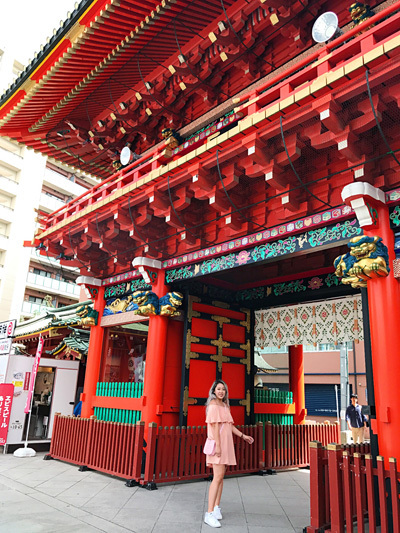 Kanda Myojin’s famous zuishin-mon, a complex cypress construction painted in glossy vermillion and gold, is a real showstopper. Our affable priest explains that Kanda has always had a forward-looking attitude, reflecting public needs and current values. 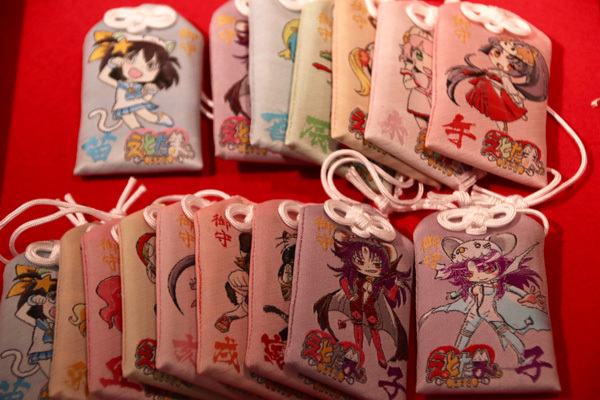 I’m surprised to discover, in fact, that some of Kanda’s talismans for purchase bear images of anime figures, or are meant to protect electronic goods. With the advancement of technology, people have traded their heavy novels for lightweight iBooks. 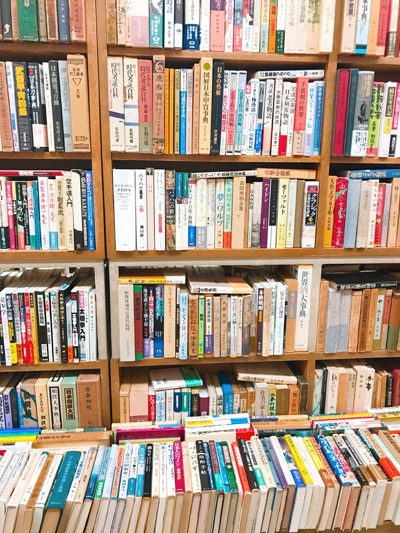 As the steady decline of tangible books becomes prominent throughout society, it is refreshing to come across Jinbocho Used Book Town.The organized yet cluttered bookstore is reminiscent of my childhood. 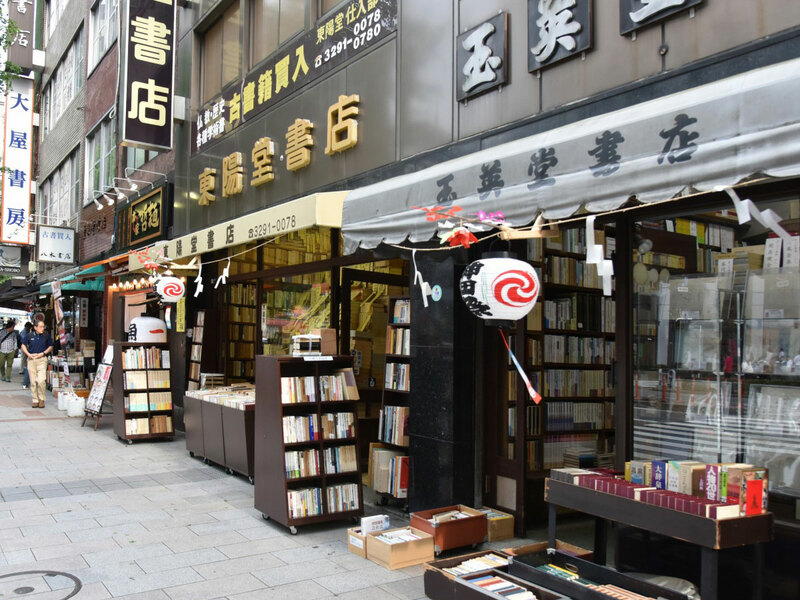 In Jinbocho’s book town, you can find REALLY old tomes, printed on washi, hand-bound, or even signed by famous authors. 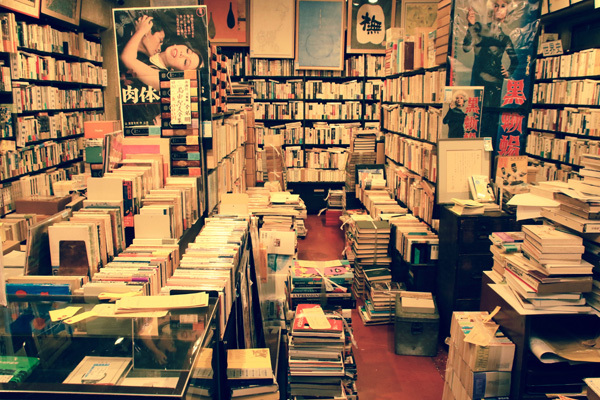 Most booksellers strictly forbid photography, but gallery/bookstore Komiyama Shoten specializes in photo art books, so shutterbugs are welcome there. 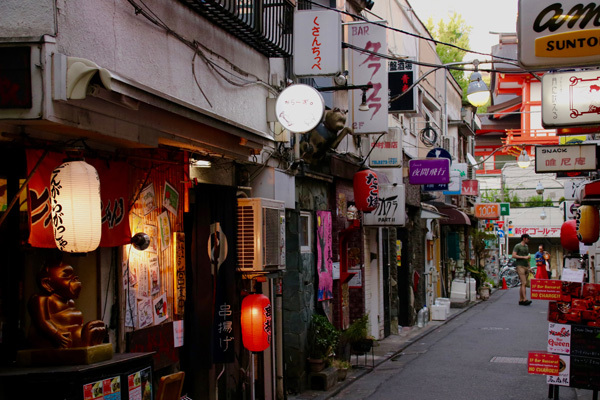 Golden Gai is comprised of small alleyways, each with small eateries and shanty-style bars. Each establishment has very limited seating, which allows for intimacy when dining and drinking. 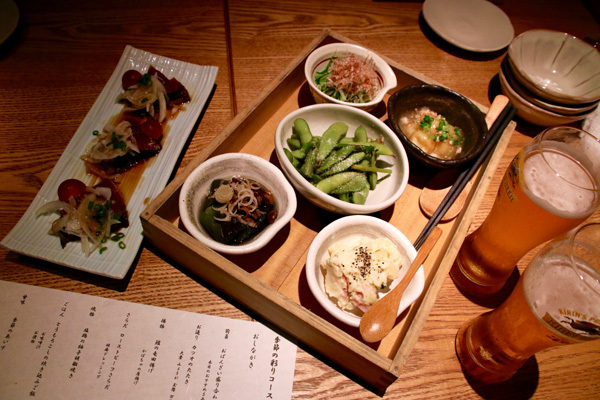 Cha Cha Hana is a contemporary restaurant nested in the backstreets of Shinjuku. 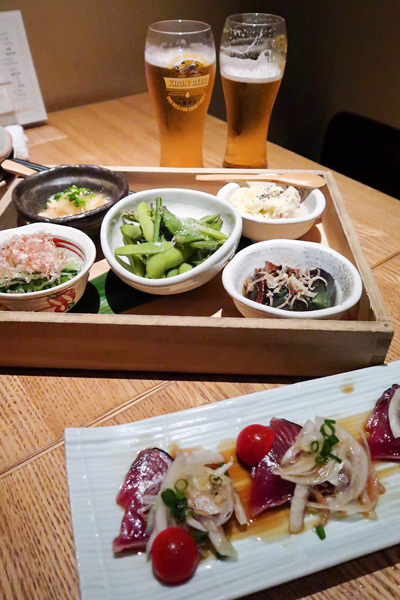 The set menu of Cha Cha Hana allows customers to experience traditional Japanese cuisine. The flavors are simple, but delicious. In Shinjuku, neon lights blink on at dusk and the streets fill with party crowds. The restaurant’s interior is subtly modern, yet traditional, with seductive lighting and cuisine. Shinjuku Washington Hotel is located in one of the prime spots of Shinjuku. The lobby is bright and inviting with two separate front desks to cater to both local and foreign guests. 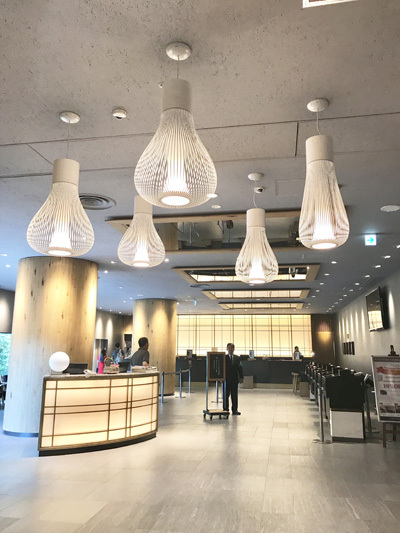 Enjoyed my “staycation” at the Shinjuku Washington Hotel, a centrally located and economical hotel, with firm beds, five choices of breakfast spots, fast Wi-Fi and generous amenities. Tokyo Haneda Airport is easily on my top-ten list for its advanced technology, customer service, and punctual departures. The check-in process is completely automated with employees on standby for assistance. 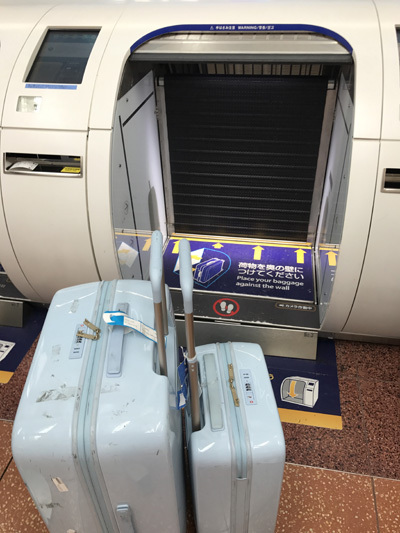 Rather than having to pick up a heavy luggage to put it on the scale, customers simply roll their bags into a machine that proceeds to measure dimensions and check in the bag. 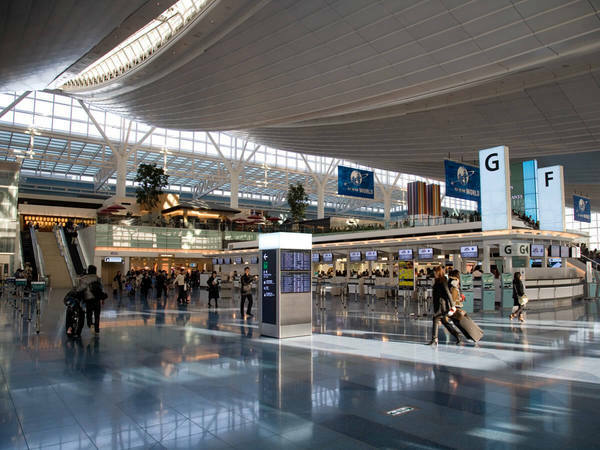 Compact and hyper-organized, Haneda is a sweet airport experience. 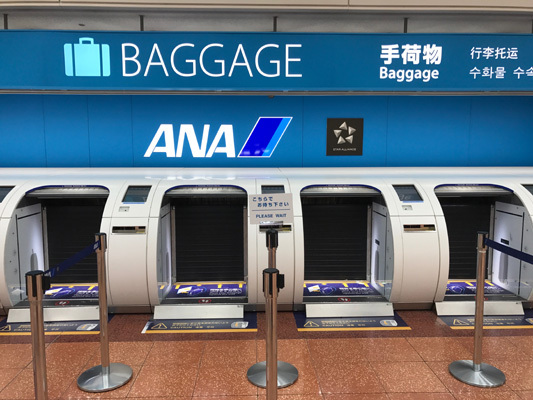 ANA’s automatic bag-checking machines, helpful information centers and punctuality make domestic trips a breeze. While quaint, Suzumasa is very busy. 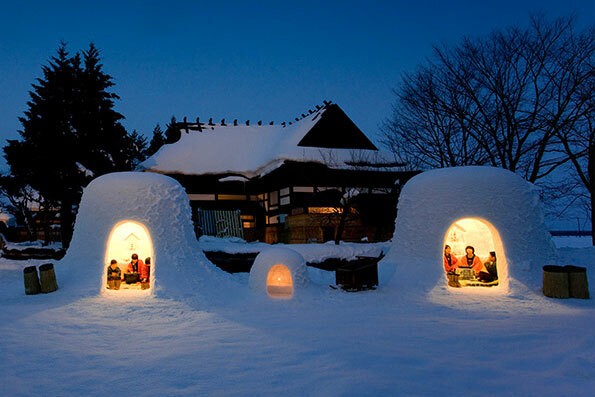 The cozy atmosphere offers a feeling of home. 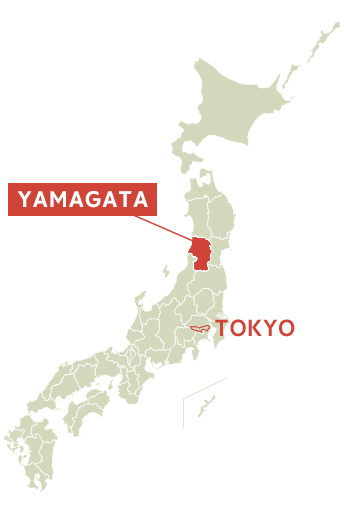 Yamagata Prefecture is well-known for its abundance of seafood. 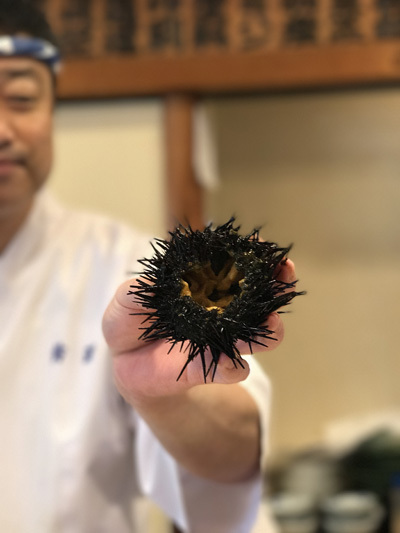 With over a dozen different type of marine creature, it was hard to distinguish the very delicious from the extraordinarily drool-inducing. Landing in Shonai, we head for a sushi lunch at Suzumasa.The master’s meltingly soft fatty tuna, plump and tasty oysters, perfectly seasoned sea eel and home-cured ginger were backed by the boisterous company of local volunteer bilingual guides, part of Yamagata’s effort to welcome guests. 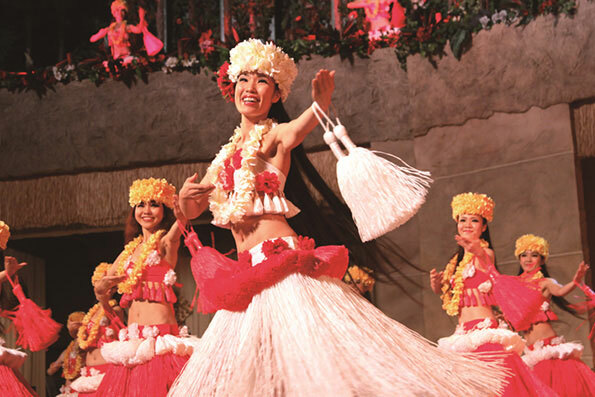 At Somaro, visitors can experience a well-preserved form of Japanese entertainment that is often forgotten. 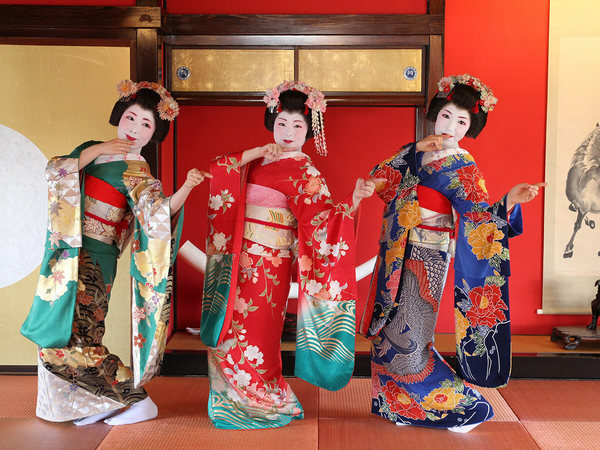 The beauty and elegance of each maiko is further exemplified in their routine. 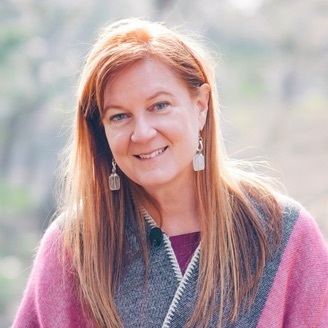 Their enticing voices resonate throughout Somaro. One does not need to understand Japanese to be hypnotized into a trace-like state. A short walk from the restaurant, we find what was once Sakata’s most famous Edo Period Ryotei, Soma-ya. 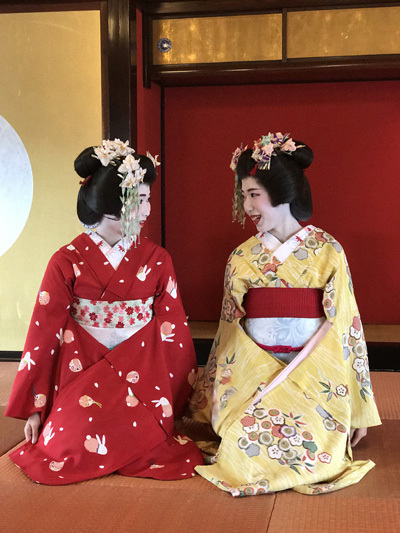 I find myself sitting cross-legged on tatami tinted red with safflowers, to watch breathtaking dances by two maiko. It’s an otherworldly experience, but so is the rest of Somaro. 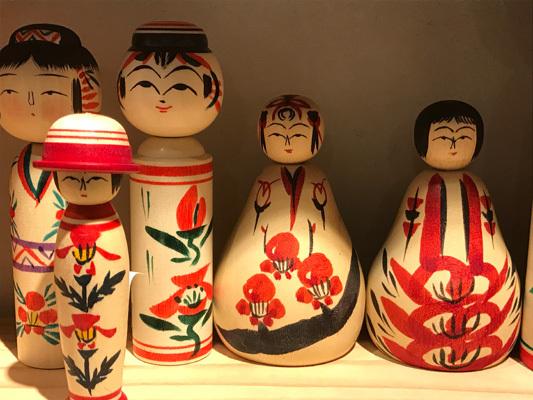 The teahouse’s multitude rooms hold an eclectic museum of treasures such as works by famous Taisho Period painter Takehisa Yumeji and collections of antique Japanese dolls. Kameya is ryokan established over 200 years ago. 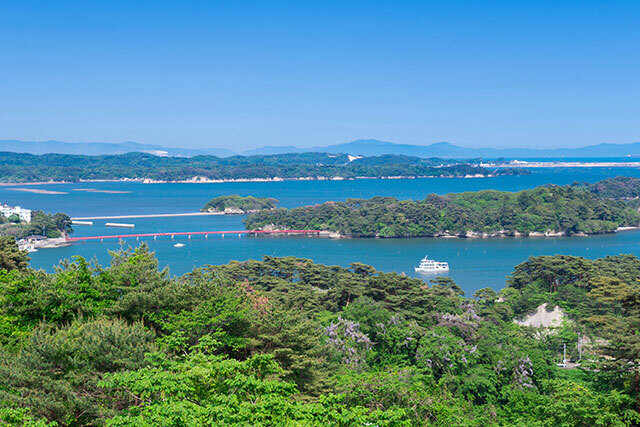 Each room has unparalleled views of the Sea of Japan. 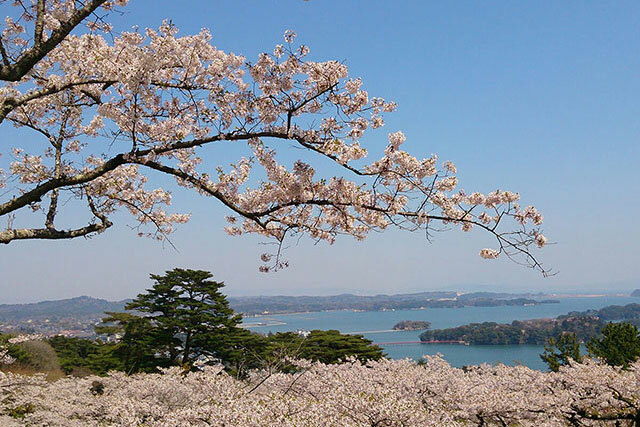 If the Japanese-style room is not your style, upgraded Western views are also available. The Western rooms have two comfortable beds along with your own personal onsen in the bathroom. 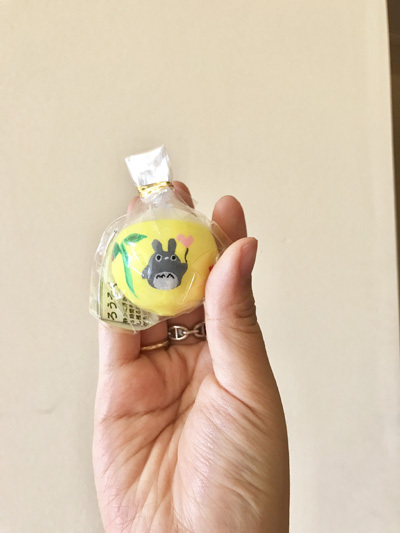 Arriving in the Yunohama Onsen area, we check into Kameya hotel. Newly designed Western-style rooms — chic and sporting ocean-front views — feature comfy beds, an en-suite onsen bath and tiny handmade soaps. Delicious food, followed by an outdoor spa dip in salt breezes, made this a delightful stop. 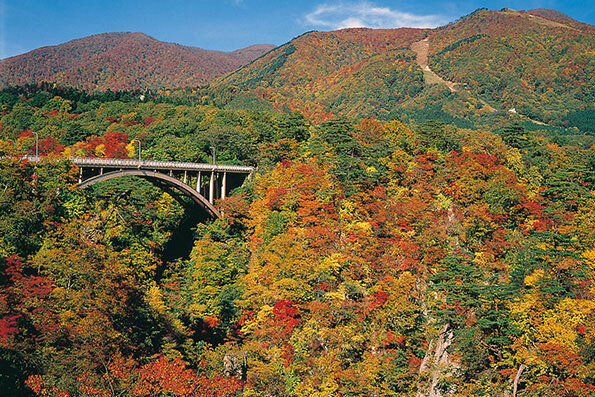 Yamagata Prefecture is known as the "fruit kingdom," growing large amounts of delicious fruits. 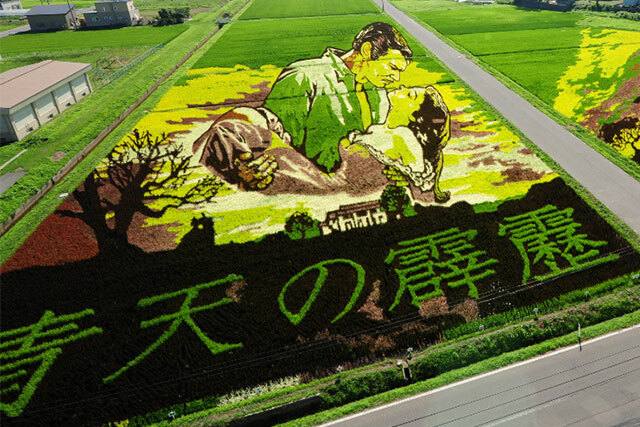 In Shonai, the "food capital ," abundant with foodstuffs, you can pick and eat all the seasonal fruit you wish. Depending on the season, you can enjoy cherries and melon, blueberries, grapes, and pears. 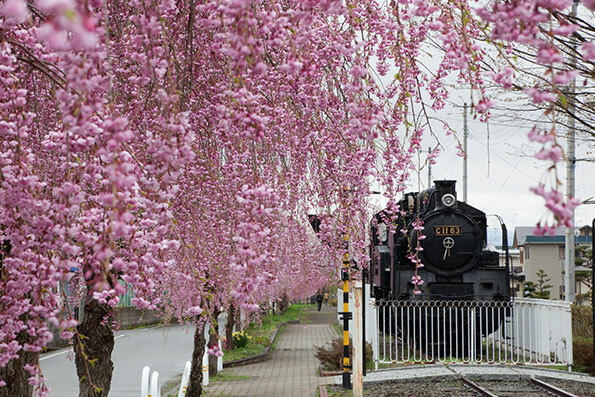 For this particular experience of cherry picking, we visited the Suzuki cherry farm. 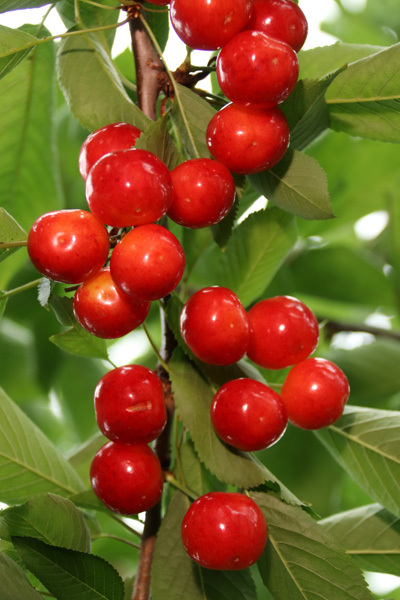 The site was home to over half a dozen variety of cherries that vary by size, color, and tartness. The organization and fine details that are utilized in this cherry picking and cherry packing process created a memorable experience. 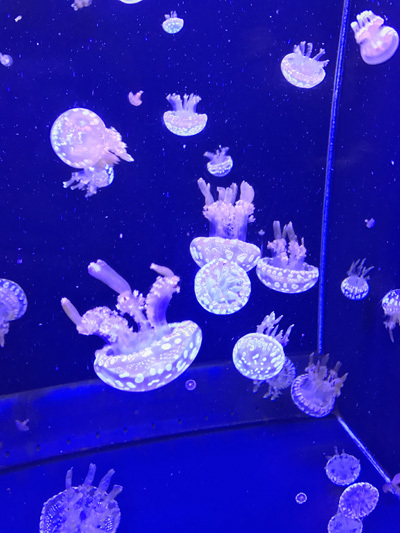 Kamo Aquarium is the home to a cornucopia of jellyfish and marine life. The part that separates Kamo Aquarium from other aquariums is its jellyfish ice cream. Not only can visitors ooh and ahh at the free nature of the jellyfish, but they can also taste it. 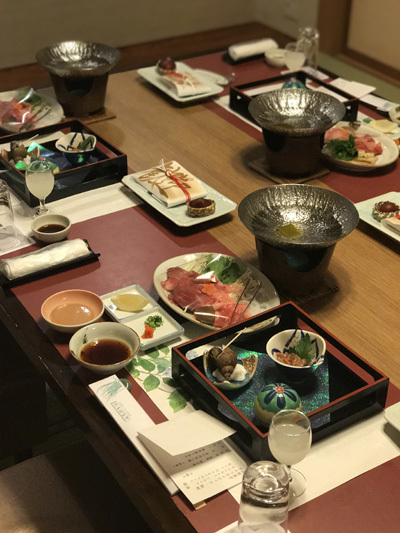 One does not necessarily think of gastronomic dining when talking about Yamagata prefecture, but Kurayashiki LUNA is exactly that. 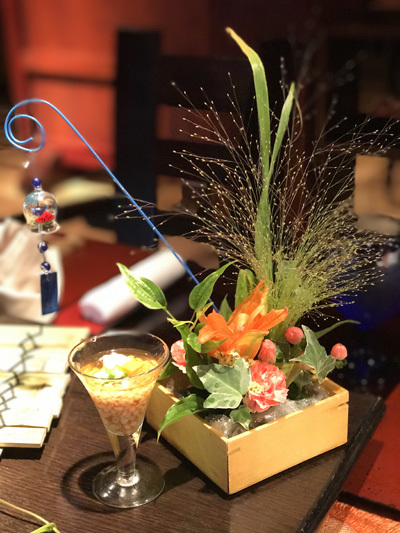 Our meal began with a large tray of various appetizers embellished with trinkets and adorned with flowers. 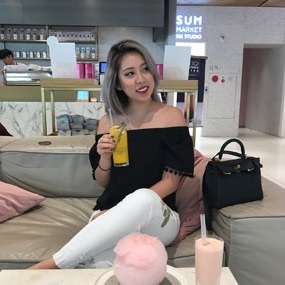 The one of a kind dining experience is unforgettable and also affordable. Chido Museum is a public interest incorporated foundation museum boasting various artifacts significant to the region’s history and culture. There are two Western style buildings at the museum’s premise. 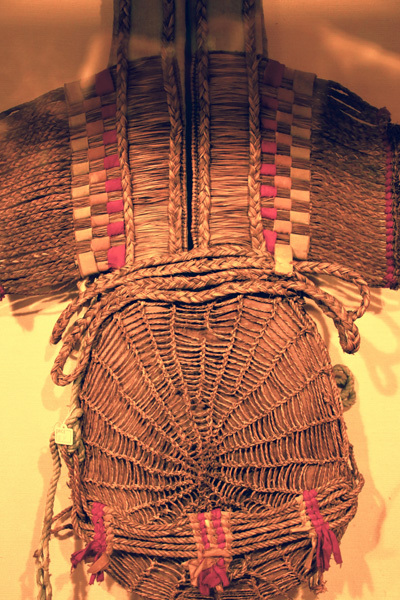 Chido Museum houses folk items related to fishing, woodcraft, calligraphy, and swords making. I enjoyed painting candles more than I expected. Picture candles, also known as erosoku, are a traditional craft of the area. We went to Fruits House Suzuki, an orchard growing eight varieties of cherries, including the popular “Sato Nishiki” and “Beni-Shuhou” cherries. The trick to plucking these pricey gems is to lift each stem gently upward, avoiding damage to next year’s flower buds. The freshest of fresh cherries fall off the pit, and the flavor explodes in a delectable sweet-and-sour combination. I spent peaceful meditative time in the Jellyfish Dream Theater, an enormous five-meter wide circular tank of pale jellies. 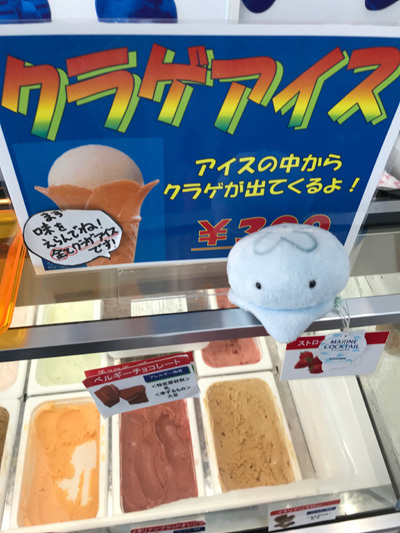 Before leaving the aquarium, I sampled — nervously — a cone of espresso-flavored jellyfish ice cream - It was fantastic! 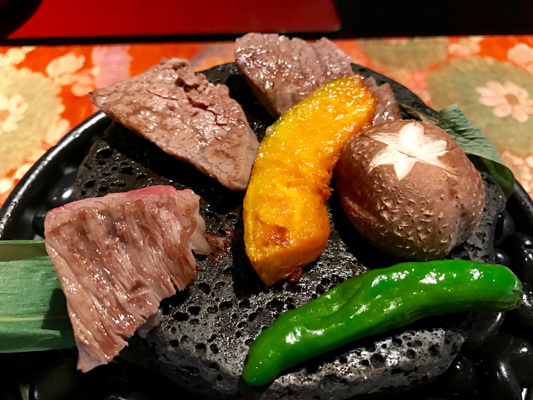 Kurayashiki Luna, situated in a 160-year-old kura, offered us an impressive lunch of veggies, silken tofu, and sizzling Yamagata beef cooked on black stones quarried from Mt. Fuji. 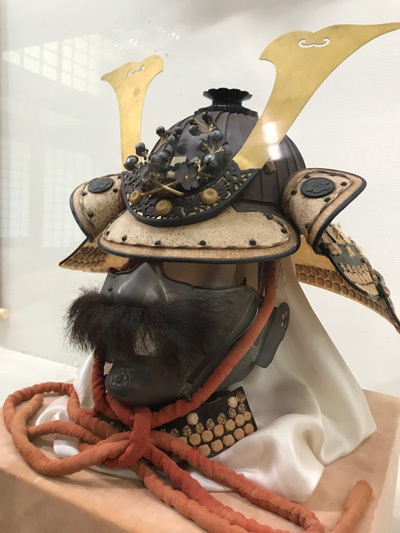 At the Chido Museum, I was moved by a marvelous Shoin-style garden and the extensive folklore exhibitions, including iwai-bandori, engagement gifts once handwoven by Yamagata men for carrying their betrothed’s trousseau. 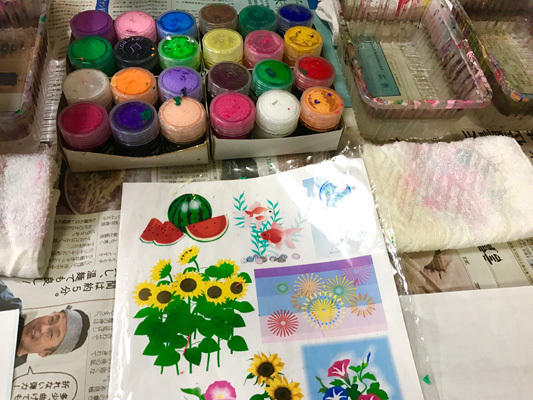 Togashi Candle Shop taught me that painting on wax can be a bit challenging.I provided everyone with lots of laughs, though, and look forward to lighting up the night with my result! 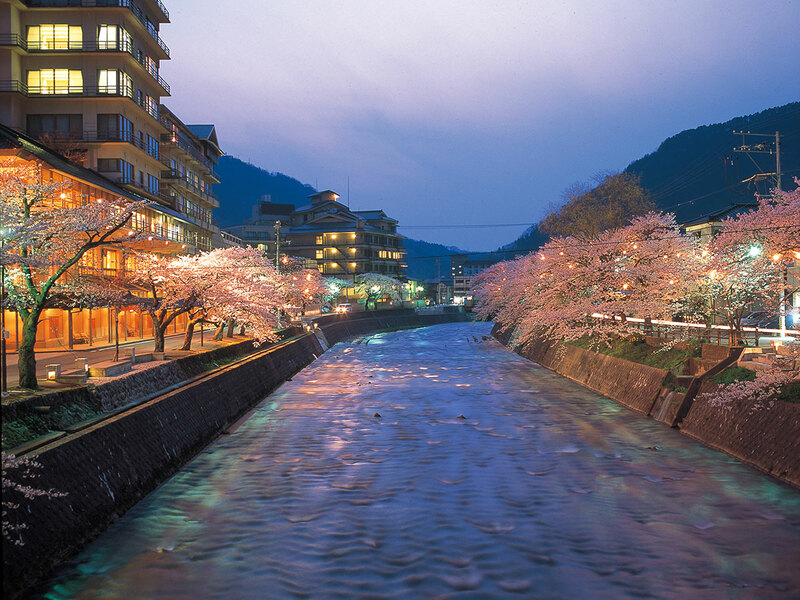 Tachibanaya is one of the remarkable ryokans in Yamagata. The hotel has an awe-inducing landscape garden and pond. The pond is filled with larger-than-life koi carp. The size of the fish often reflects the prestige and success of an establishment. 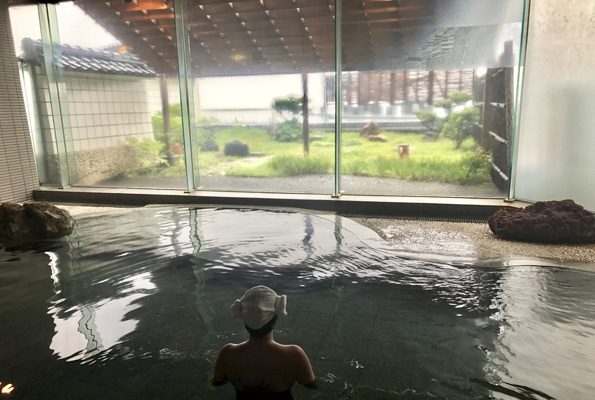 After a second round of hot tea and a quick snack, I took a bath in the Astumi Onsen. The public baths are divided and rotated every day so guests can experience both. 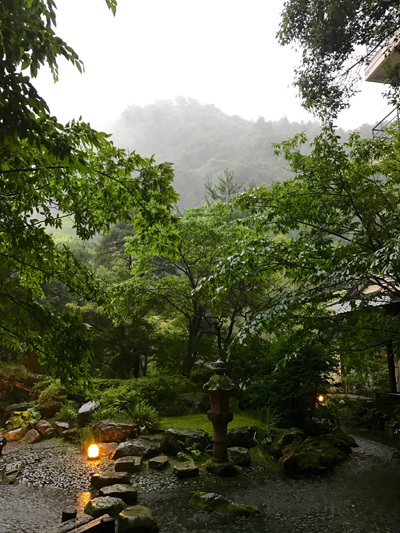 In pouring rain, onsen hotel Tachibana’s dreamlike entrance and lobby, backed by a misty mountain scenery, is right out of a samurai movie. 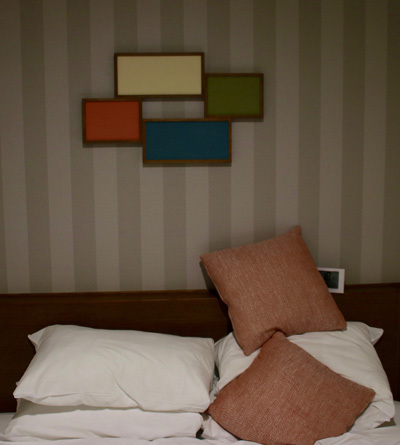 The Japanese-style rooms feature super-thick comfy futons and nice views over the Atsumi River . Dinner, in a private dining room featured delicious black-throated perch and local beef. 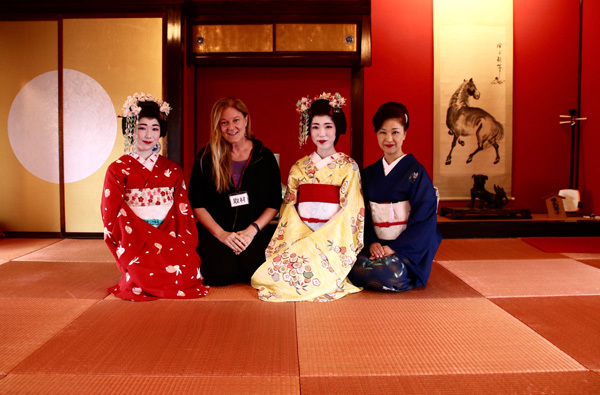 I loved this ryokan’s rotemburo, which was perfect for letting the day’s experiences soak in. Inclement weather prevented us from joining a sea kayak expedition, but our guides brought us on a hike up many steps to the “Tama Sugi” a massive sacred cedar tree believed to be over 1,500 years old. 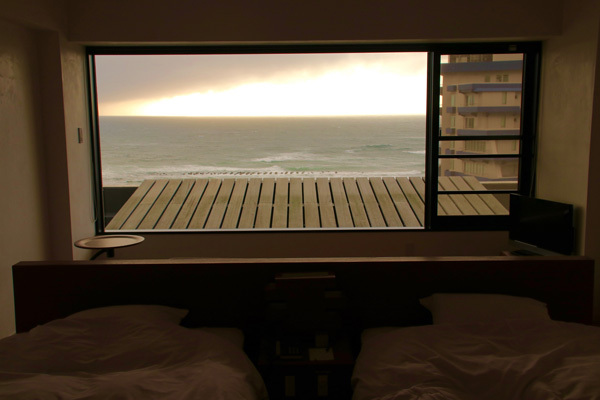 Literally breathtaking. 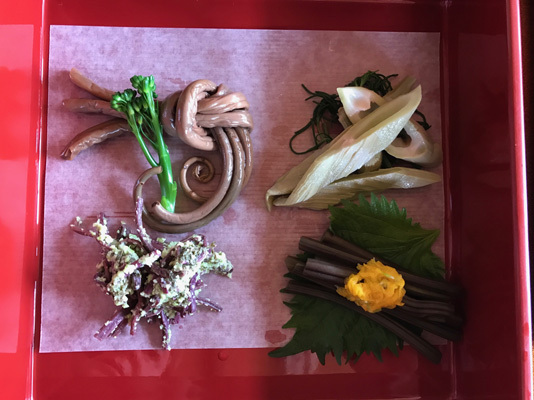 Following the cedar encounter, it seemed a natural segue to sit down to a lunch of shojin ryori at Dewa Sanzan, the center of mountain aestheticism in Japan. To consume mountain bracken, butterbur and other local plants, we learned, is to bring the life force of the mountains into your system. 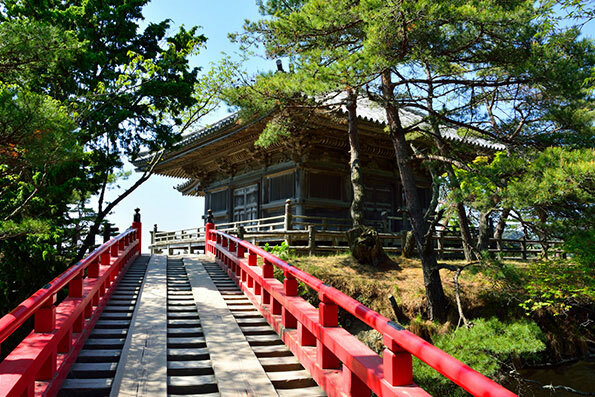 Said to be the oldest pagoda in the Tohoku region and built by Taira-no-Masakado. 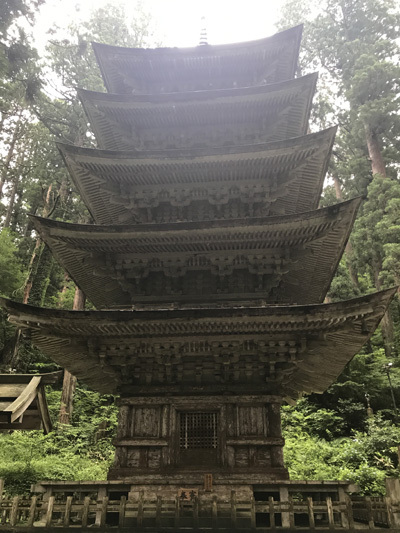 The current 29m-high, three-section, five-layer, shingled wooden pagoda was rebuilt about 600 years ago and was designated as a national treasure in 1966. 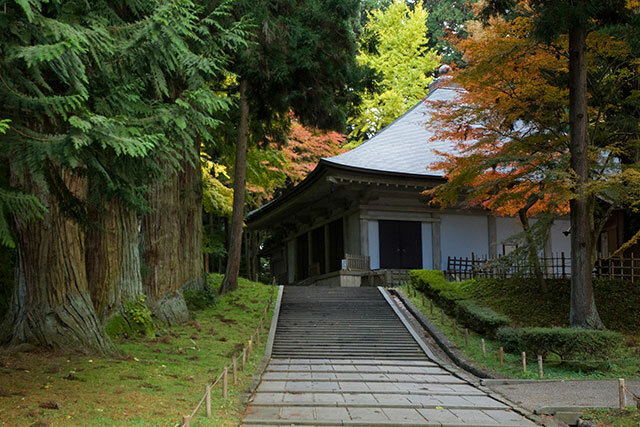 The 2,466 stone steps and avenue of cedar trees create a sacred atmosphere. 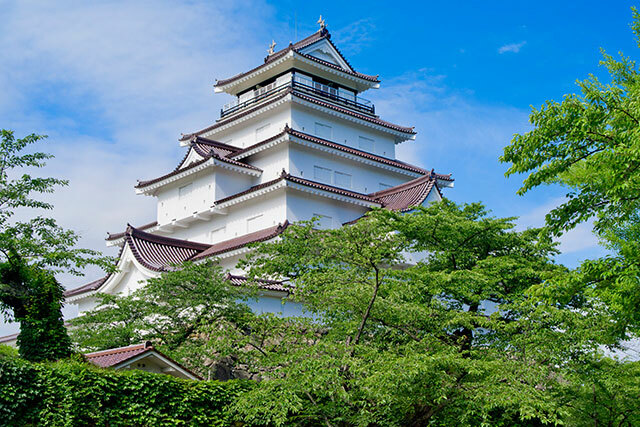 Hagurosan Five-storied Pagoda is registered as a three-star spot in the Michelin Green Guide Japan. 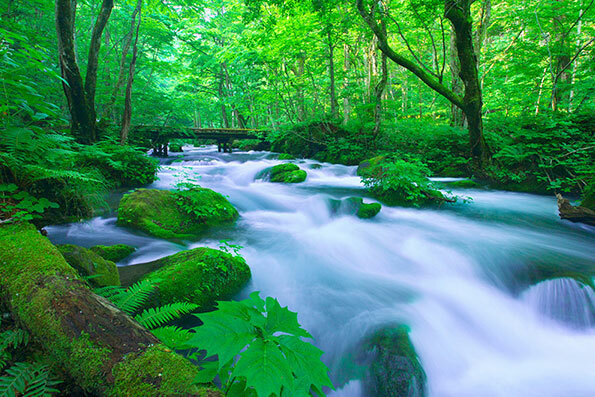 Mount Haguro is amongst the Three Mountains of Dewa. 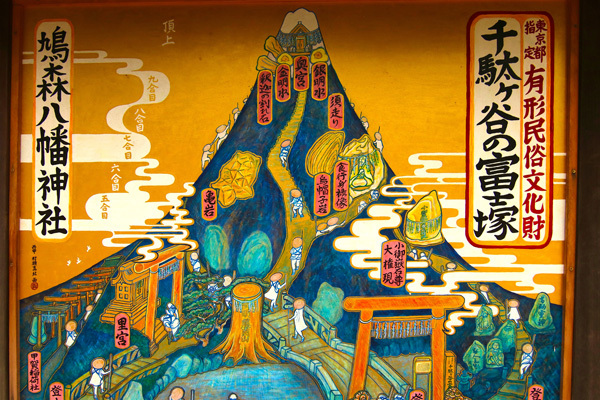 The three sacred mountains represent the past, the present, and the future. 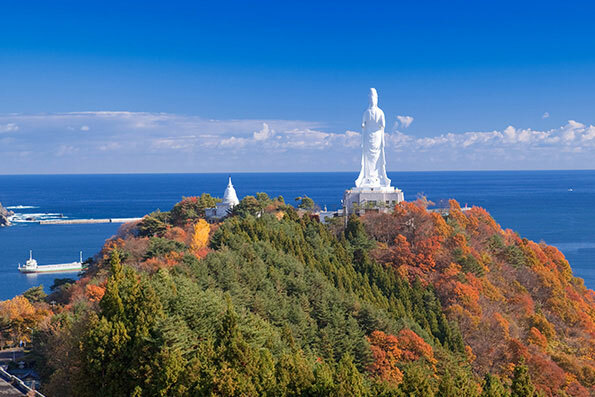 In addition to being a tourist location, Mount Haguro is a holy place for both Shinto and Buddhism. There are over 2,000 stone steps embedded into the mountain’s summit. 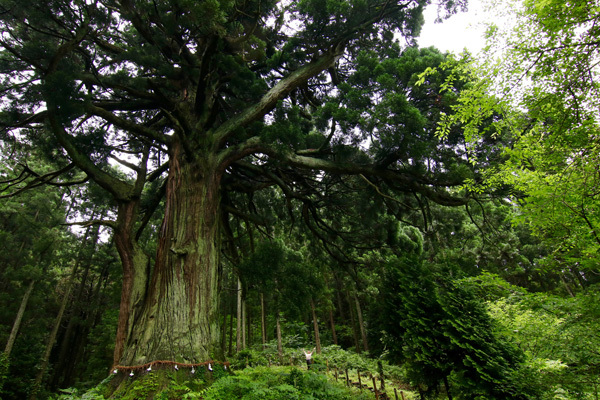 Each step you take transports you further into the spiritual realm amongst towering 600-year-old trees. The most momentous memory is arriving at the famous Goju-to, a five-story pagoda held together by nothing but architectural genius. It is astounding to think that no nails are used in the magnificent structure. 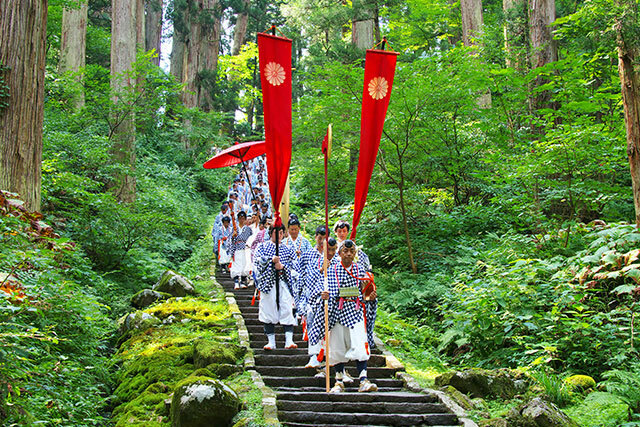 With the mountain’s bounty inside, we donned the white garb of yamabushi, and entered the Zuishin Gate at Mt. Haguro. 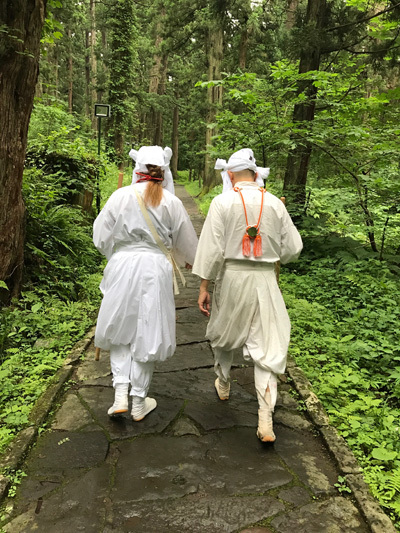 In a mini pilgrimage, we descended stone steps lined with centuries-old cedars, listening for the waterfall at the Harai River, where pilgrims usually stop to purify themselves. 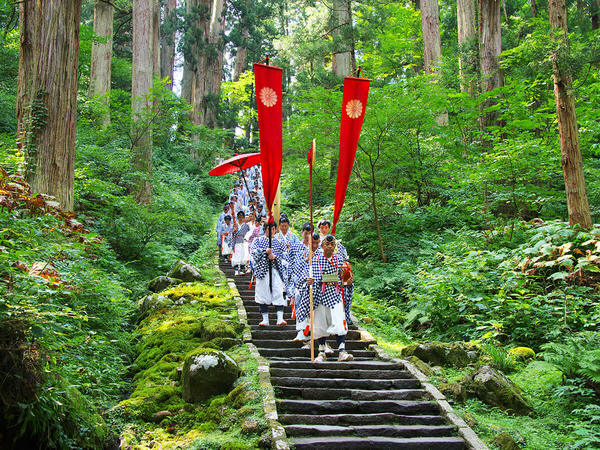 Continuing on, we reached five-storied pagoda, and here a yamabushi blew on his horagai. The sound coursed through the mountains, a calling to the spirits and to other pilgrims, and the memory of that sound lingers. Visiting Japan over a dozen times throughout my life, I was firm in my belief that I have already seen the most notable parts of Tokyo. The trip really opened my eyes to other lesser known towns and activities that provide just as many unique experiences as busy cities. Items on the itinerary that most stood out to me are the activities that are specific to the area. 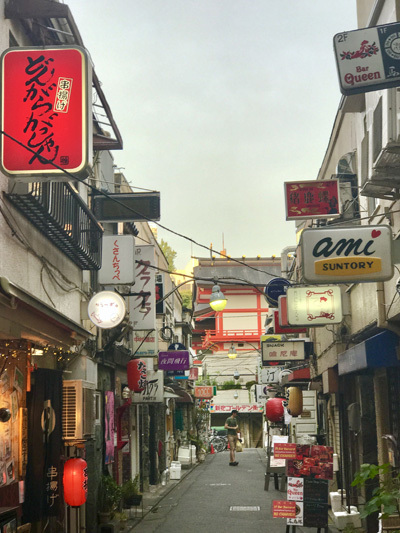 This itinerary includes some great Tokyo sights: important shrines, inexpensive meals and fabulous shopping venues. 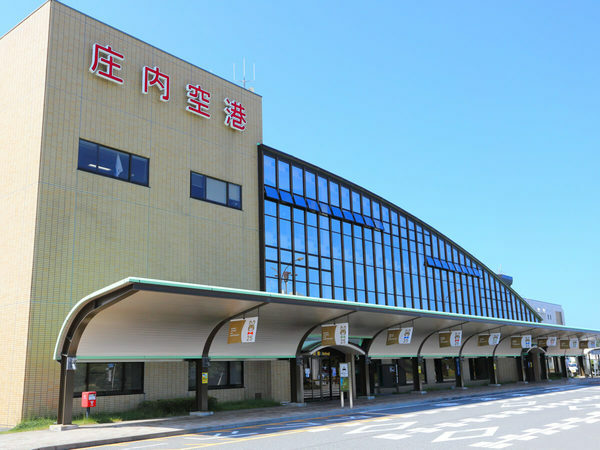 The additional trip to Yamagata, made easy by air flights, offers much of what visitors expect of traditional Japan: rice fields, old architecture, nature and spiritual depth. Can’t recommend this duo of destinations enough. 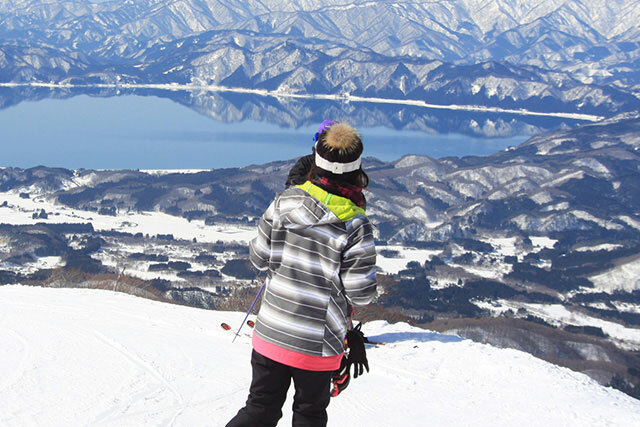 The Tokyo and Yamagata trip allows guests to explore further than the popular Japanese culture such as anime. 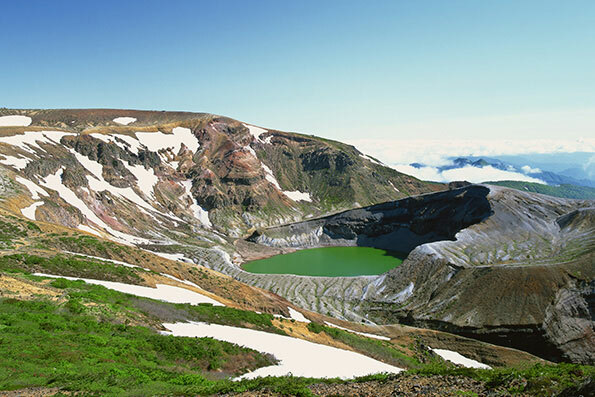 Although Yamagata is a stark contrast to Tokyo, the prefecture proudly displays its heart with its abundance of region-specific activities rooted in culture and history. 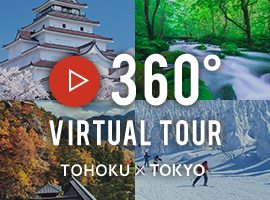 A refreshing contrast between the uber-urban sights of Tokyo and the mystical, lush mountains of Yamagata Prefecture, this tour highlights the superb cuisine, intriguing historical sites and great accommodations of both, while also exploring the complexity of thought that makes up modern Japan.